A special PMLA Court has convicted five accused in a narcotics-related money laundering case. Principal District and Sessions Judge and Designated Special Judge (PMLA) Ahmedabad Dr. A.C. Joshi ordered for the conviction of the five accused, including a company ( M/s Sakha Organics, Vadodara) under section 3 and 4 of PMLA. 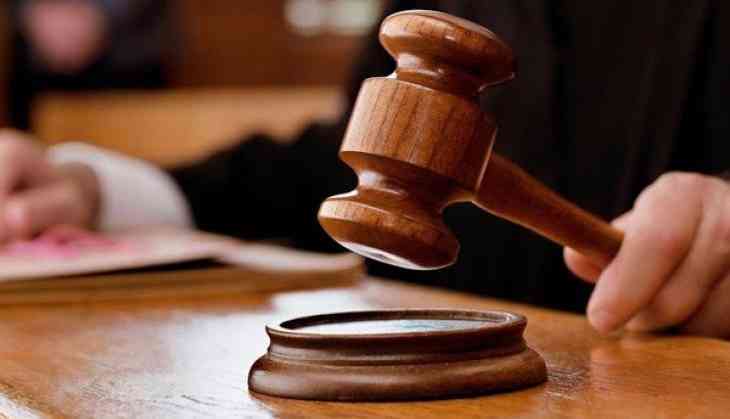 The Court awarded sentence to four accused - Kirit Rasiklal Shah,Jagdish Vaidya, Gunasekaran Pillai and Ravindran Karapaya - with rigorous imprisonment of seven years each and also imposed fine of Rs. 5 lakh each on all the accused including the company. In case of default of the fine amount, each accused will further undergo simple imprisonment of 5 years, the court said. The Special Judge also ordered for handing over of confiscated items to the central government as per Section 8(5) of PMLA. Enforcement Directorate initiated investigations under PMLA for tracing out the proceeds of crime on the basis of a complaint filed by the Narcotics Control Bureau (NCB), Ahmedabad, with reference to recovery and seizure of methamphetamine, a psychotropic substance from four accused persons as well as from the factory premises of M/s Sakha Organics. An investigation conducted by the ED revealed that Kirit Rasiklal Shah availed a loan of Rs. 66.70 lakh from Gujarat State Finance Corporation (GSFC) by way of mortgaging factory premises of Sakha Organics Ltd. at Vadodara. The major repayments were done in 2008 by procuring demand drafts from various bank/person in lieu of cash paid to them. During that period another accused Xie Jing Feng(Canadian National) had paid Rs. 4 crore to Kirit for the production and manufacture of methamphetamine. The ED also observed that Kirit, without having a legal source of income, had purchased land at Vadodara in 2008 for Rs. 4.45 lakh in three cash installments, hence this property purchased out of the proceeds of crime, along with one car in the name of Jagdish Vaidya and deposits in bank totaling to Rs. 71 lakh were attached under PMLA. On completion of the investigation, a complaint under section 45 of PMLA was filed before the Special Court, PMLA, Ahmedabad in 2011 against M/s Sakha Organics, its directors Kirit Shah, Jagdish Kumudchandra Vaidya, Gunasekaran Pakiam Pillai, Ravindran Karapaya, both Malaysian Citizens and Sh. Xie Jing Feng, a Canadian National with a prayer for awarding punishment to the accused and confiscation of attached property for their involvement in money laundering. After the conclusion of the trial proceedings, the Special Judge convicted the accused and ordered for the confiscation of the properties. The trial against other absconding accused Xie Jing Feng, who was a Canadian National, could not be conducted. The judge has ordered for a separate trial to be conducted against Xie Jing Feng. Extradition proceedings against Xie Jing Feng are under process with the Hong Kong Authorities, since, he is reported to be lodged in Hong Kong jail.